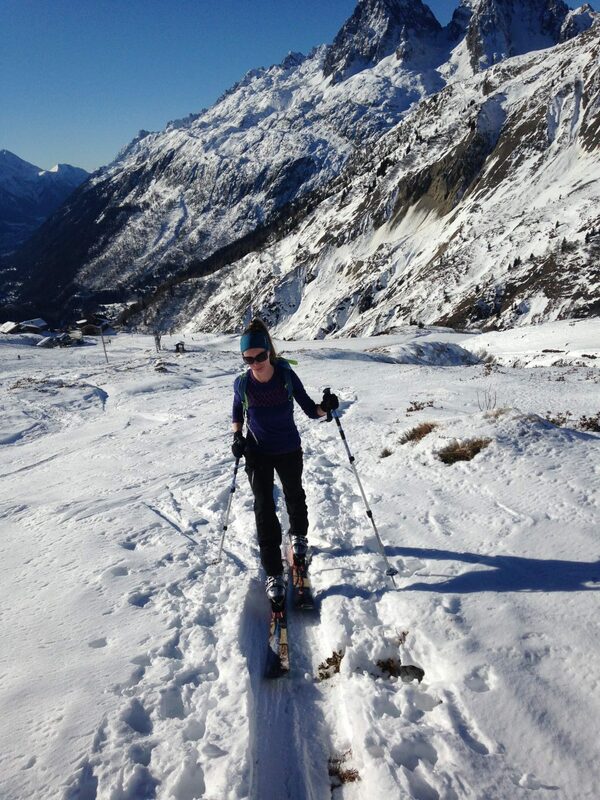 At the head of the Chamonix valley, is the sunny ski area of Le Tour – Balme. With wide open slopes and sweeping views right down the main Chamonix valley, Le Tour has a good selection of blue and red runs. 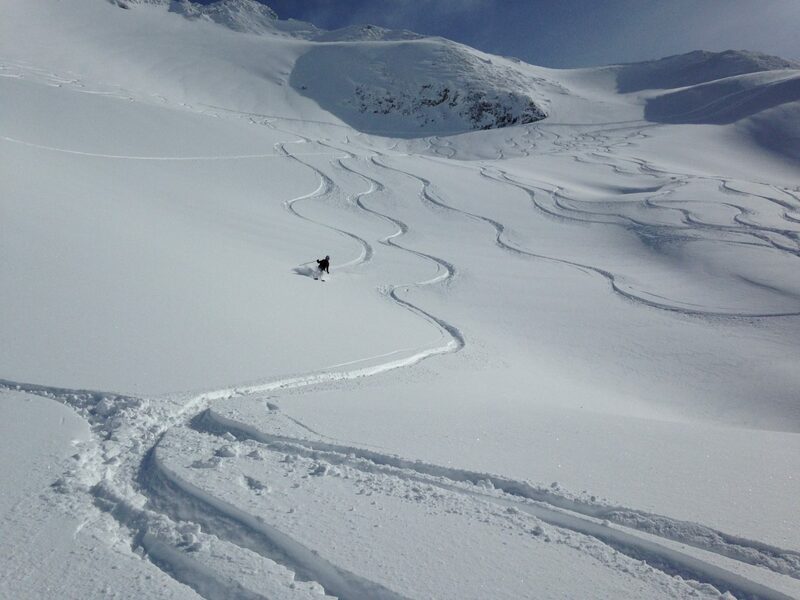 The off piste runs at Le Tour are numerous and you can pick and choose your run depending on ability and snow conditions. 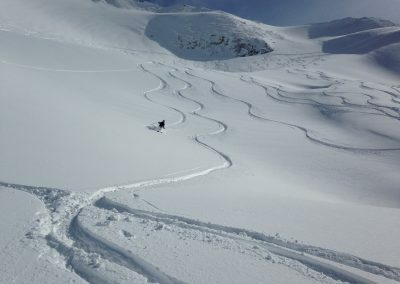 It is possible to ski off piste close to the pisted runs on the front side, or drop into the “back bowls” if the snow conditions are stable enough. 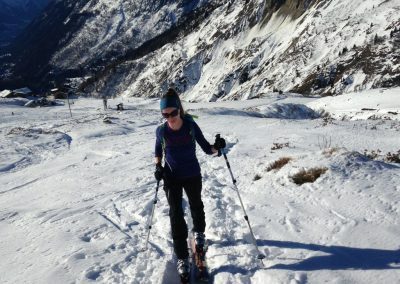 Other options include skiing from the Aiguillette des Posettes down to Vallocine, and from the Col de Blame into the Swiss village of Trient. 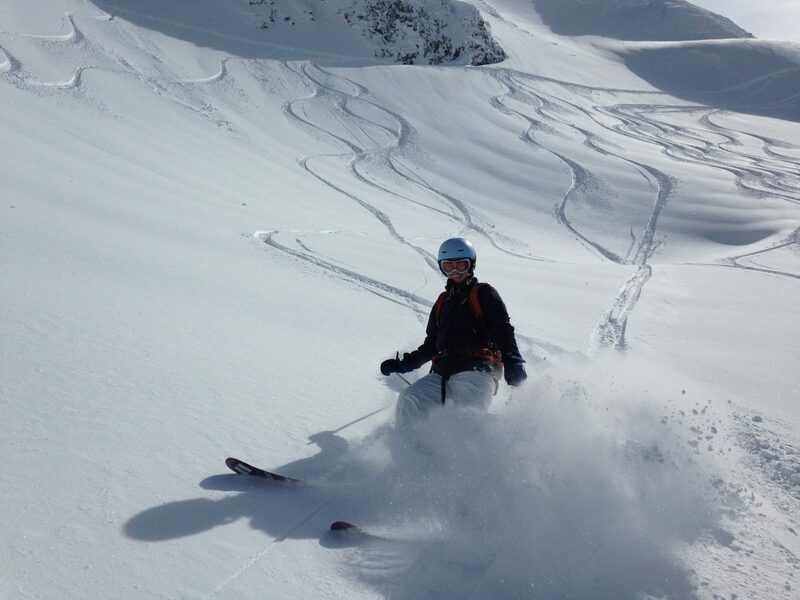 The Vormaine couloirs are also superb when in condition. There is some good tree skiing next to the “Belle Place” lift, but Le Tour is best enjoyed on a good visibility day as the slopes can be quite bare and open. Obviously, to get the most out of Le Tour, you should ski with one of our experienced mountain guides! 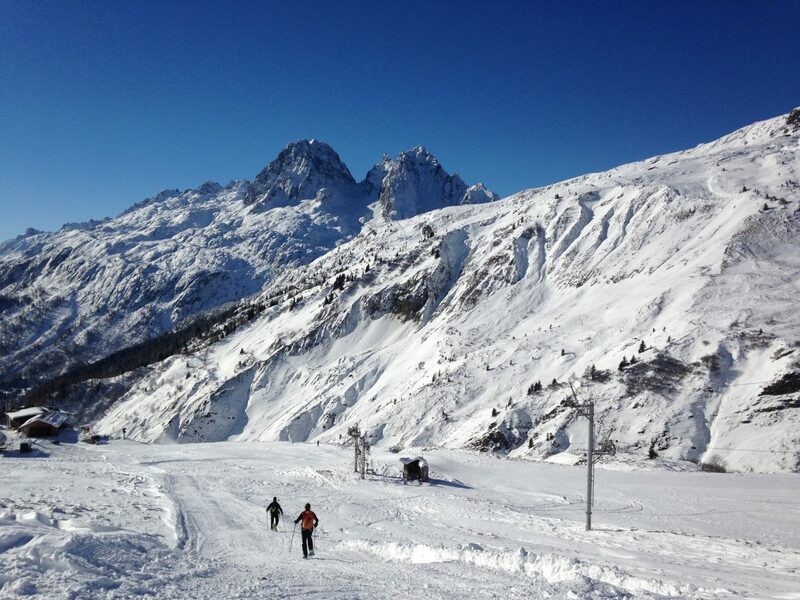 Le Tour, twenty minutes drive from Chamonix centre. 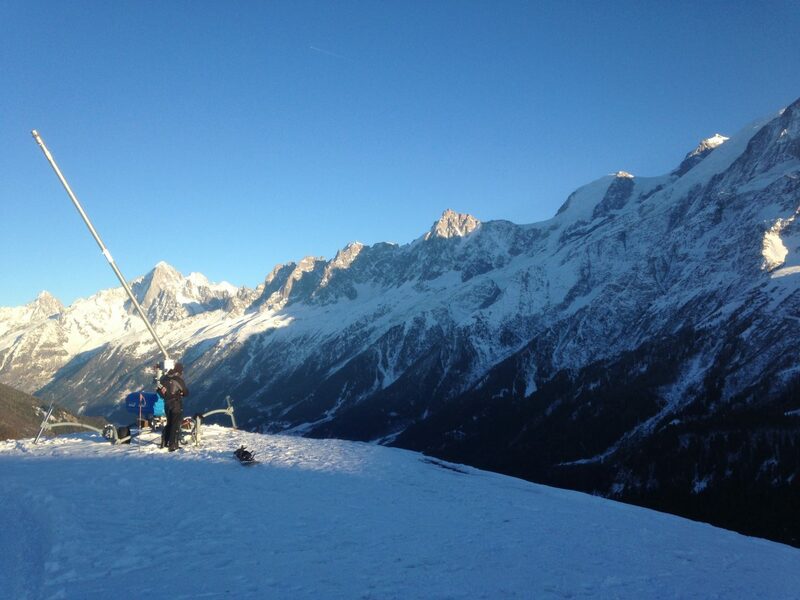 The lift from the village of Vallocine can be used to access the Le Tour – Balme ski area as well. Often quieter than the main lift at Le Tour. 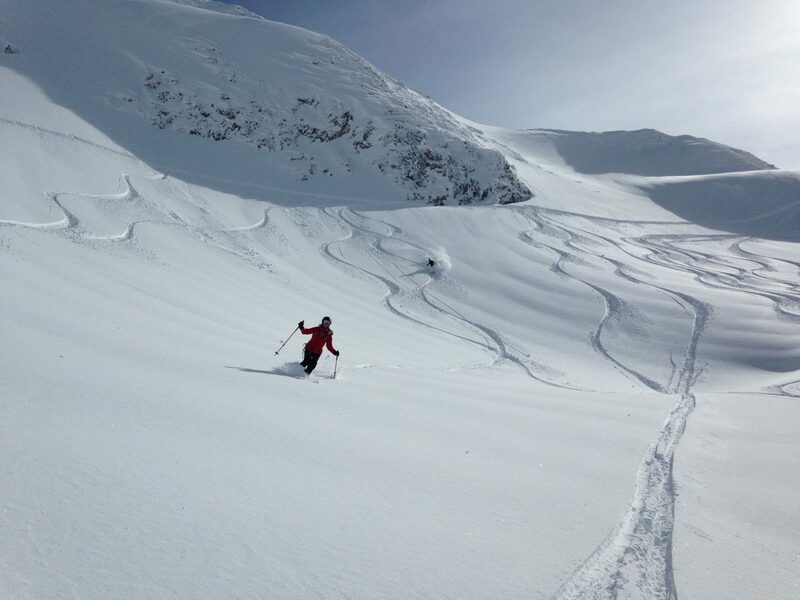 There are some good short ski tours at Le Tour as well, including the Tete de Blame area. There is a dedicated ski touring track accessible from the main ski lift. Follow the yellow signs and then ski on or off piste afterwards.